Hyperion, EPM, OBIEE and other stuff. Guillaume Slee's EPM/BI blog. Does exactly what it says on the tin. Did you like the topical Star Wars reference? Have you seen the new film yet? Of course not, you've got bursting to do. 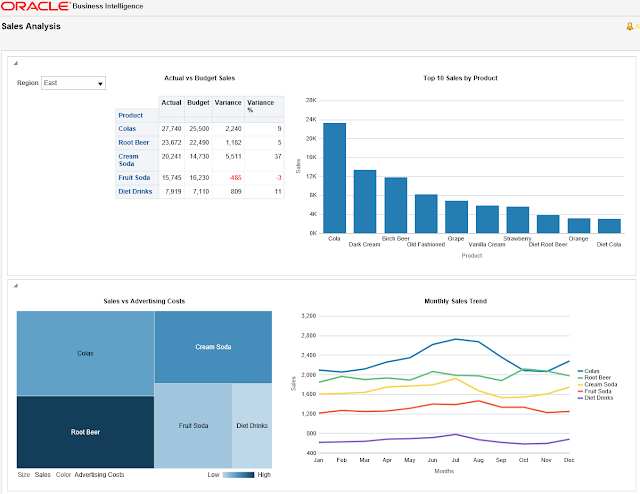 In my previous post Bursting Using OBIEE Agents Part1 we looked at how our dashboard was filtered by region using a session variable and we saw how an OBIEE agent can run the dashboard and save it to the file system. The format I chose was .PDF but there are other formats you can choose. 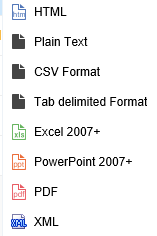 An analysis can be exported in all the above formats but a dashboard page is restricted to PDF, Excel and HTML. Create a new analysis which will define which regions we want to burst. Create a new agent which will save our regions as a list in a text file. Use the SaSchinvoke command line utility to run the agents from the command line. Notice the regions in our prompt....I want to burst my report out across my regions. We shall now create a new analysis which will list out the regions to drive the bursting. These are the droids regions we're looking for. Just filter your analysis to match your desired burst output. Yep, those are the regions I want to burst out. Saschinvoke is the Oracle BI Scheduler command line job invocation tool. On Windows it is called saschinvoke.exe and on *NIX it is saschinvoke. It enables you to schedule a job via the command line. It is typically used to launch jobs outside of the OBIEE scheduler using a 3rd party scheduler or batch routine. Saschinvoke isn't anything new and it's been covered in other blogs but it is key to our process so I'll explain how it works. We shall use sachinvoke to launch our agent via a command script. 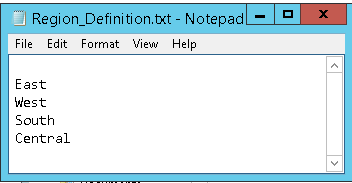 so in my case it is located in: E:\Oracle\OBIEE\Oracle_Home\bi\bifoundation\server\bin. Here is a link to the command in the Oracle Documentation. I've highlighted the machine:port parameter because this isn't needed in 11g. Oracle haven't taken into account the change in port numbers in 12c and the saschinvoke utility will fail without the machine:port reference because it still defaults to the old 9705 port. So now we can use the command line to launch an agent which will write our dashboard and bursting definition to the file system. 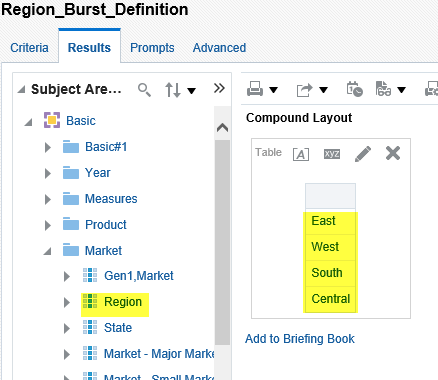 This is an important step because we can use the power of scripting to read our busting definition file and burst the dashboard for each region. In part 3, the final part of the series, we will use batch scripting to launch our agents and burst out the dashboard for each region in the burst definition file. Have a great Christmas break! Hi Mike, I had put it in draft mode somehow. It should be back online now. Execution Error: [nQSError: 12017] Unexpected socket read timeout: connection terminated by the network, e.g. by the firewall. [NQSError: 12008] Unable to connect to port 9502 on machine localhost. but it does not work the same. I also got the same error as you when using OBIEE 12c because of the change in port number so I had to use the "-m SERVERNAME:9511" flag to make sure it was using the correct port to communicate with the scheduler. However, if you're on 11g then the port number should be the default 9502. Can you telnet to that port to verify that the scheduler is indeed running on port 9502? I'm using 11g, the problem was the port ... the 9502 was not good, I put 9712 and now it works. The next few posts will be about how we can burst OBIEE reports using OBIEE agents. Edit 06/01/2016: This bursting solution relies on invoking agent server scripts which is only supported on Windows servers. "Bursting is a process of splitting data into blocks, generating documents for each block, and delivering the documents to one or more destinations. 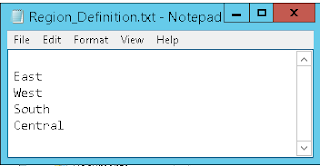 The data for the report is generated by executing a query once and then splitting the data based on a "Key" value. For each block of the data, a separate document is generated and delivered." 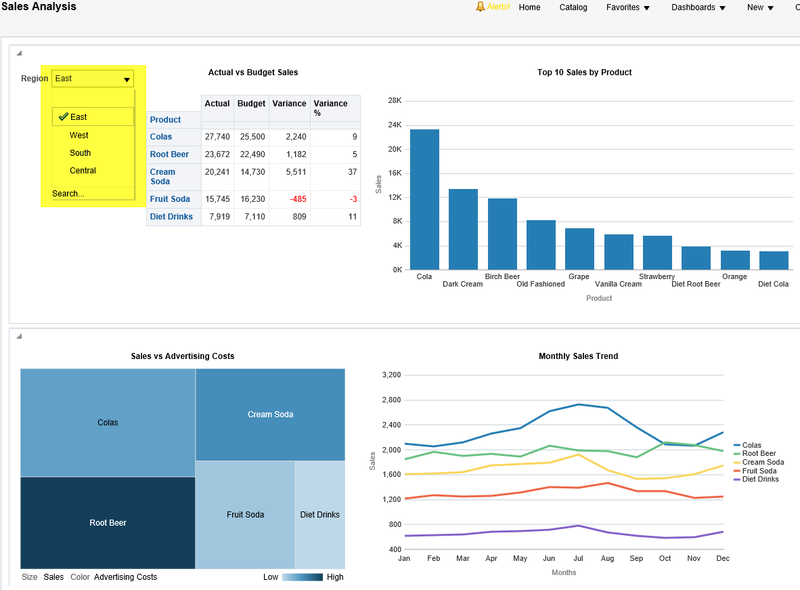 One example could be that you have a Sales dashboard filtered by region and you would like to burst this report out for all regions and save each dashboard to a file share for consumption elsewhere. 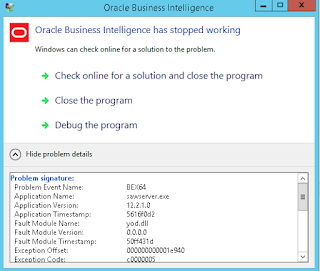 The Problem BI Publisher is the tool of choice for bursting in OBIEE. Unfortunately it's also it's the only choice. Where did my Planning Job Console History Go? Planning has a nice feature which is the Job Console. In the Job Console page (Tools-> Job Console) you can check the status (processing, completed, or error) of these job types: Business Rules, Clear Cell Details, Copy Data, Push Data and Planning Refresh. By default, the job console will delete all information on any completed jobs older than 4 days. This isn't good if you need to troubleshoot an issue or check a transaction completed before this period. However, the history gets moved to another table in the Planning repository called HSP_HISTORICAL_JOB_STATUS. The table stores the user accounts as objectIDs so we can join it with the HSP_OBJECTS table to get the job history with friendly userIDs. When I'm not EPM-ing or BI-ing you'll find me cycling, running and swimming in open water. Oracle Platinum Partner and NetSuite Partner. Certified in Planning, PBCS, HFM, Essbase and OBIEE. Extracting Metadata from PBCS using the REST API – Updated!